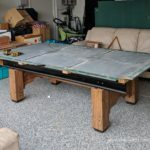 Sometimes fixing up an old table is the most cost-effective option. 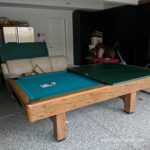 Surely, the costs can add up when servicing or moving a pool table, but a new table will likely cost much more and isn’t necessary for most situations. 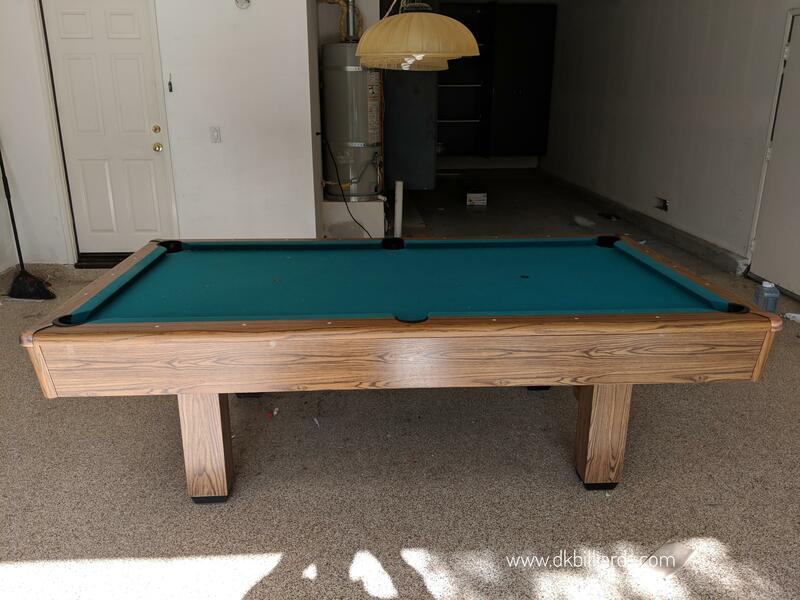 Our Irvine, California customers decided that their move from Mission Viejo would be the perfect time to replace the cushion rubber on their Imperial Player. 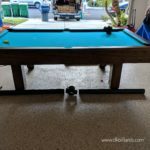 In this particular instance, we were able to save the perfectly usable 15-year-old cloth on both the slate bed and the rails. Saving rail cloth is a bit of a tricky process in the shop and most times, not an option. The previous installation left a bit of excess for us to be able to restretch over the new rubber. This saved some costs for the owner. 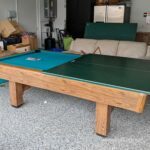 This table now has a new life, in a new location for the family to enjoy.